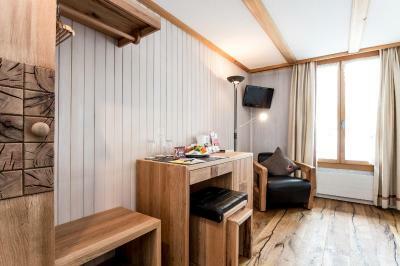 Lock in a great price for Kemmeriboden-Bad Swiss Quality Hotel – rated 9.3 by recent guests! The design of the property is beautifully tasteful. Best bed I have ever slept in. Sehr schönes, modern eingerichtetes und heimeliges Zimmer mit gschnitzten Holzinschriften. Auch viele einheimische und wiederkeherende Gäste. Sehr freundliches Personal. Frühstück top und die Lage der Liegenschaft ist einfach traumhaft. Wenn man die Natur im und ums Hotel sucht, dann sollte dieses Hotel mit 5 Sternen bewertet sein. Le lieux, le cadre de faire des raquette,ski de fond ou ski de piste, et même de la course à pied. un endroit reposant pour tout à chacun. Une expérience à renouveler dans un future proche à une autre saison de l'année. Schon bei der Ankunft merkt man, dass es sich hier um ein besonderes Fleckchen Erde handelt: mit vielen liebevollen Details spürt man, dass es sich beim Team des Hotel Kemmeriboden-Bad nicht um Hotelbetreiber Sondern um Gastgeber handelt. Toll eingerichtet der Themen Zimmer, ein wunderbares Frühstücksbuffet mit regionalen Produkten in top Qualität – alles Man sich wünschen möchte findet man im Hotel Kommeriboden-Bad! Faszinierende Familiengeschichte, beeindruckend, was über Generationen geleistet wurde. Wunderschöne Athmosphäre in und ums Haus. Sehr schönes Bad aber das Zimmer war etwas eng. Für 1-2 Nächte reicht es. Sehr nettes Personal aber auf das Nachtessen mussten wir sehr lange warten. Sehr freundliches & hilfsbereites Personal. Hübsches Hotel mit toller Lage. Das Essen schmeckt sehr gut. Da man sich für die Sauna einschreiben muss, hat man sie für sich alleine. Kemmeriboden-Bad Swiss Quality Hotel This rating is a reflection of how the property compares to the industry standard when it comes to price, facilities and services available. It's based on a self-evaluation by the property. Use this rating to help choose your stay! This historic hotel in Schangnau in the Emmen Valley features a bar, a restaurant and free WiFi in public areas. All rooms at the Kemmeriboden-Bad Swiss Quality Hotel feature a radio, and a TV. 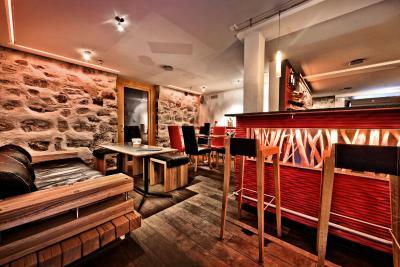 The restaurant serves Swiss cuisine and a daily breakfast buffet. In summer, guests can dine in the garden. Free parking is available at the Swiss Quality Kemmeriboden, and a bus stop is right in front of the hotel. Thun is 25 mi away, and Bern is 31 mi away from the Kemmeriboden. 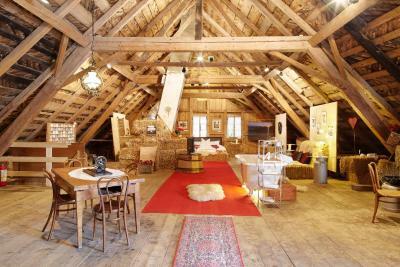 This property also has one of the top-rated locations in Schangnau! Guests are happier about it compared to other properties in the area. 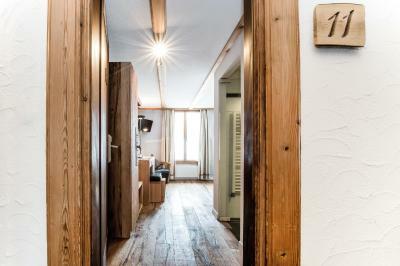 This property is also rated for the best value in Schangnau! Guests are getting more for their money when compared to other properties in this city. 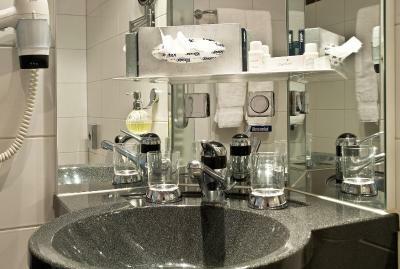 When would you like to stay at Kemmeriboden-Bad Swiss Quality Hotel? These rooms are fitted with oak-wood furnishings, a box-spring bed and a bathroom with an experience shower and carpeted floors. They are located in the main building. This spacious room features a TV and bathroom with a tub. 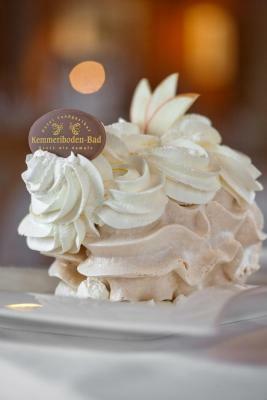 Kemmeriboden-Bad is a hotel and restaurant with a long tradition, situated in the area of the source of the river Emme. It is a pleasant for us to offer our guests a place of relaxation including fine dining in a lovingly restored building. 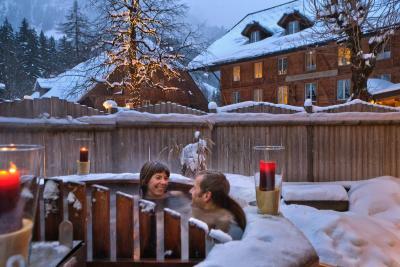 House Rules Kemmeriboden-Bad Swiss Quality Hotel takes special requests – add in the next step! Free! One child from 3 to 5 years stays free of charge in an extra bed. 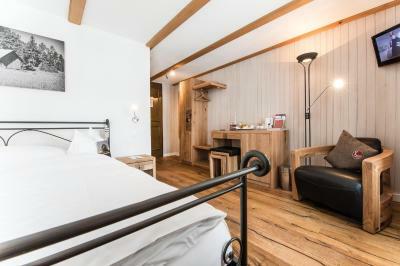 One child from 6 to 11 years is charged CHF 25 per person per night in an extra bed. One child from 12 to 18 years is charged CHF 45 per person per night in an extra bed. Kemmeriboden-Bad Swiss Quality Hotel accepts these cards and reserves the right to temporarily hold an amount prior to arrival. Please note that the restaurant is closed on Sunday and Monday.